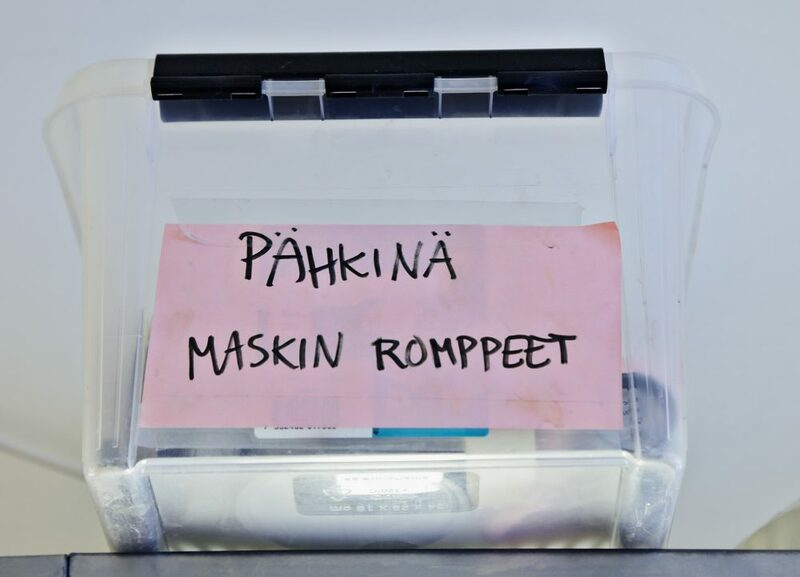 When and how did you end up here at the Finnish National Opera and Ballet? I studied to become a hairdresser and came here as an intern in 2005. The same people are in charge of both the hair and make-up here, and during my internship someone suggested I should also qualify as a make-up artist. I did exactly that, and after graduating as a hairdresser, I enrolled into a make-up course. It didn’t take long before my former manager Marjo Riihimäki called me and asked when I could come back to the FNOB. I had planned to take some time off, as I’d just had a son and I was still studying, but I promised to help when things got busy. It’s been twelve years now and I’m still here. I ended up not needing to finish my studies. We work in morning and evening shifts. The length of my day can be anything from 7 to 14 hours, depending on what I have on my list. When I get to work, I first check my email and do anything else I need to do on the computer. Then I brush and maintain wigs, facial hair and body parts, like moustaches, beards, noses and ears. That involves removing old glue and checking that curly hairs are still curly and straight hairs are straight. I often prepare wigs for upcoming premieres: I colour, cut and style them with rollers. Sometimes I also cut performers’ hair to suit the look of their character. In addition to this, a typical day includes meetings with other stylists and related professionals like costume and accessory maintenance. 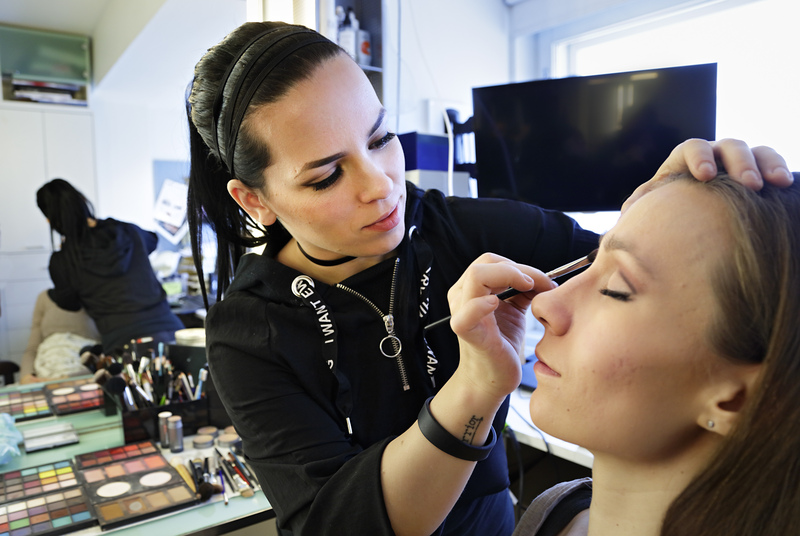 On rehearsal or performance days, we put other work aside and start fixing the performers’ hair and make-up a couple of hours before showtime. We usually have a maximum of 20 minutes per singer or dancer, but if the look involves special accessories, we take longer. The headdress of the Queen of the Night in The Magic Flute is a good example. If one person has several roles in a performance, that means I have to make some quick changes. The biggest transformations usually take place in the interval. Some of them, however, happen in the middle of the action onstage. The 100-year-old Aino at the start of the Land of Kalevala, for example, was turned into a young woman before the very eyes of the audience. 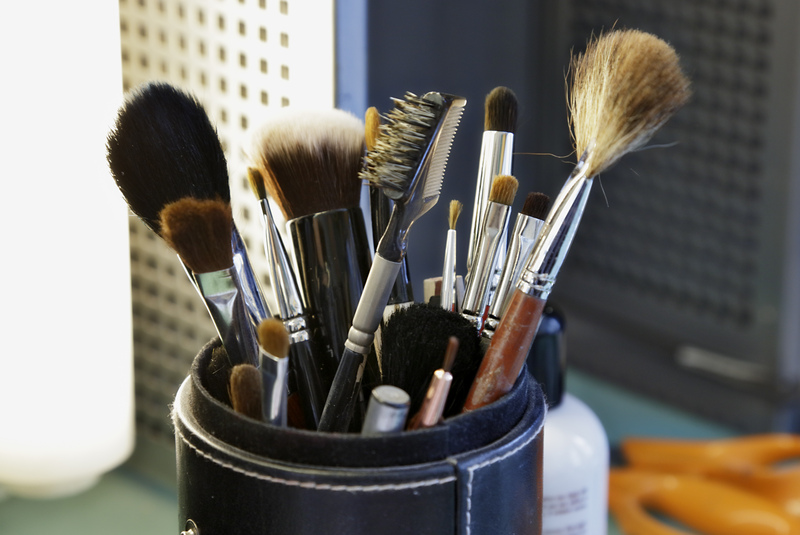 What kind of make-up do you most enjoy doing? I love challenges and I enjoy transforming a person’s look with extra body parts. When I started at the FNOB, I said I really wanted to create zombies and orcs one day. That made my colleagues laugh. One project I’ve found particularly memorable and challenging was Don Carlos with its Gothic ambience. One of its scenes involved a group of heretics whose faces were hidden behind long hair. They had to look totally different in the next scene, so a quick change was needed. While we were discussing how it could be done, I put my hand up and volunteered to make the necessary masks, though I didn’t yet know how. After several sleepless nights and working until my fingers bled, I delivered the heretic masks, which were both convincing and easy to remove. Since then, we have used similar silicone masks in several productions. Which is your favourite opera or ballet? I most enjoy working on operas and ballets in which I’m touched by the music. One of my all-time favourites has been the opera Faust. A production can also become important to me if I have a special role in it. In The Phantom of the Opera, for example, I got to plan the scarred part of the Phantom’s face. The costume designer gave me instructions and moodboards for developing the right look for the scar tissue. It was wonderful to see my own work in such a significant role in the production. 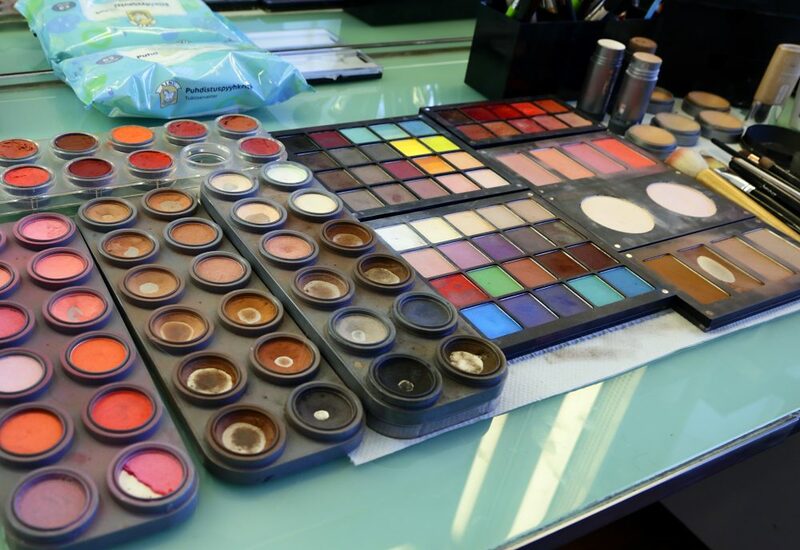 Anyone coming in for make-up just sits in the first available chair, so I never know what character I will be creating next. What is the best and the worst about your work? The best is the variety. Anyone coming in for make-up just sits in the first available chair, so I never know what character I will be creating next. I also like the fact that the repertoire changes each season, so there’s always something new in store for me. Perhaps it’s because I’m an artist at heart, but what I like least is working on the computer. I know it’s necessary, though, as we document each and every look. We take pictures and put together detailed instructions down to the shade of the lipstick. On top of this, we list any special aspects and quick changes of every production. These instructions are indispensable, not only for the freelancers who help us at busy times, but also for future reference when the production returns to the repertoire after a few years’ break. You must have the courage and drive to do things your own way. And keep your eyes open to what’s happening around you, too! 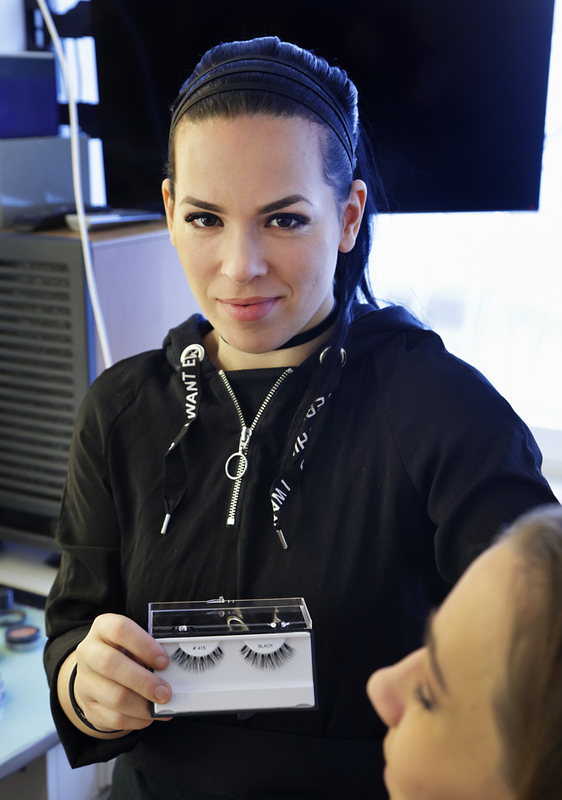 When you’re surrounded by amazing make-up professionals, it would be a crying shame not to pick up their best tricks. You must also be able to speed-read the people who sit in your chair. Do they want to talk or do they prefer to focus in silence on the performance ahead? Have you experienced any near-disasters? Every now and then. I do get a cold sweat if it’s time for a performer to go onstage and their hair ornament is still missing, for instance. Once I had a quick change planned for The Nutcracker, in which I’d have to run to the side-stage without a moment to spare. Just as I got there, I realised that I’d left the headdress of the dancer in the dressing room. All I could do is dash back to get it as quickly as I could. In the end, the dancer made it in time with the headdress in place. It’s lucky I’m a super fast runner – thanks to my favourite hobby. 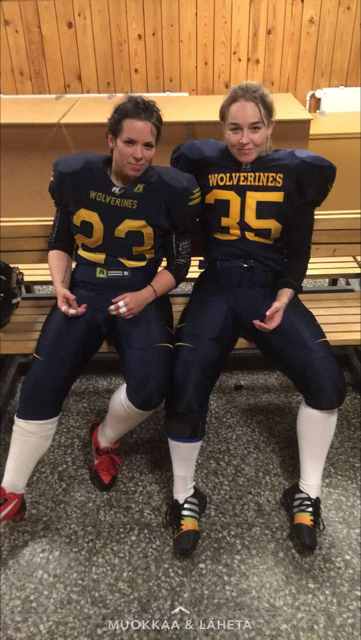 I’m a semi-professional American footballer. 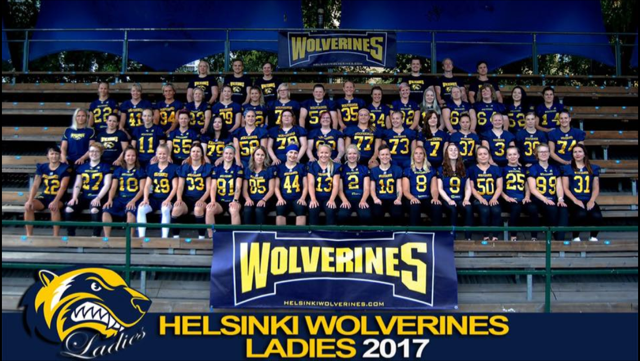 I play in the Finnish women’s Maple League and the First Division. The season starts in May, just in time for the summer break at the FNOB. I spend the summer playing and the winter training. It’s an amazing sport for letting off steam, but it can also get rough. 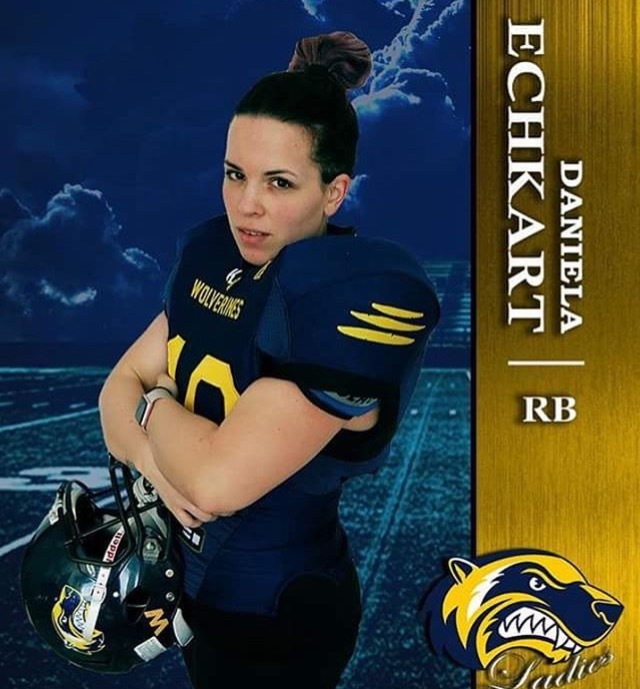 I’m a running back, which is sometimes called “cannonball” in Finnish. It’s the equivalent of the striker in football and involves a lot of physical contact. Sometimes the games and training sessions leave me quite badly bruised. I tend to wear long sleeves to work in order to not freak out my colleagues.